Love is in the air, and this year why not go beyond the dinner and chocolates with your special Valentine? Get the whole family involved! 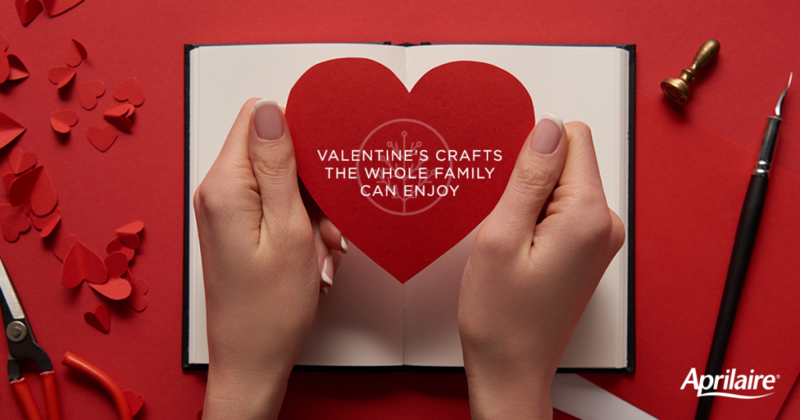 Whether or not your kids enjoy the lovey-dovey stuff, they’ll always have some fun with Valentine’s Day crafts and games. We’ve put together a list of ideas that kids of all ages will love. You can find most of the supplies for these crafts and games just around your house too! And after you burn all of those extra calories you can even sneak a few pieces of that yummy Valentine’s Day chocolate. Let’s make Valentine’s Day awesome for everybody!